At about 7 a.m. today, the highly-coveted award for North American International Auto Show Truck of the Year went to the all-new F-150 this morning, with the Volkswagen Golf and Golf TDI taking home the car honors. U.S. and Canadian jurors judge both the truck and car awards on the basis of innovation, design, safety, handling, driver satisfaction and value. 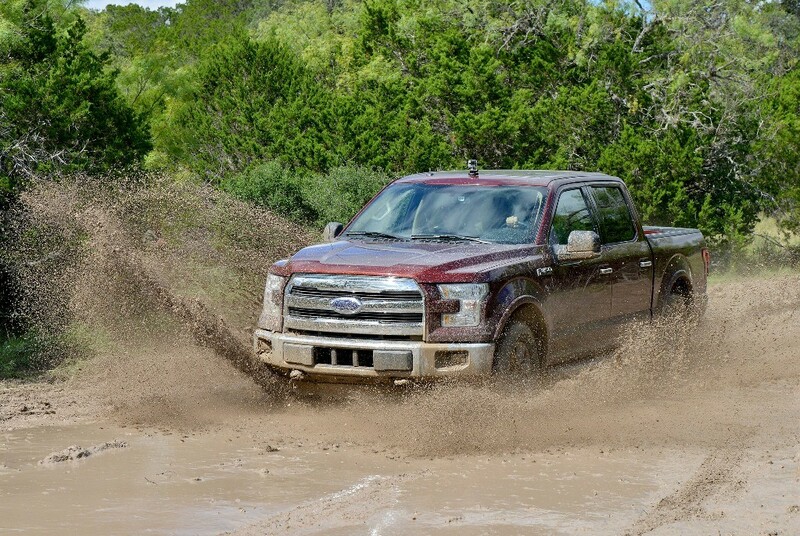 This is the eighth time a Ford has won the Truck/Utility honors in the 22 year history of the awards. Many pundits have cited the risks that Ford took in the complete redesign and re-engineering of the best selling vehicle in North America, but those have clearly been rewarded. In addition to the shift to military-grade aluminum alloy body which reduced weight dramatically, a new high-strength steel frame, and a great many other marvels, the new F-150 can tow up to 1,100 more pounds and haul up to 530 more pounds than its 2014 predecessor. It also boasts the highest EPA-estimated fuel economy ratings of any full-size gasoline pickup in its segment. 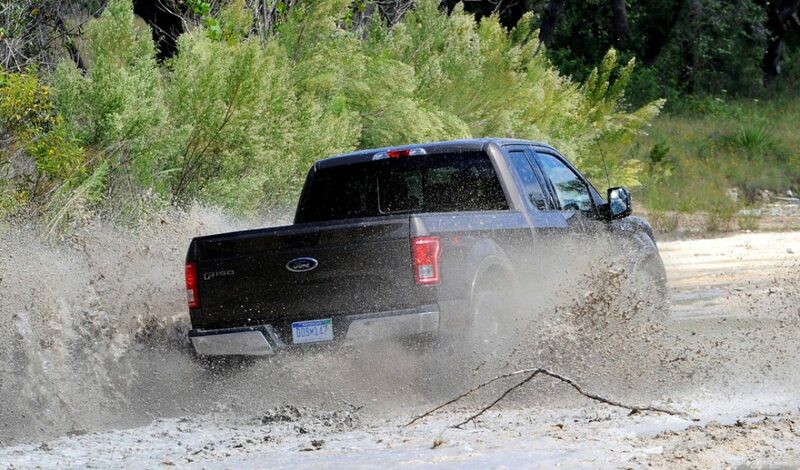 With the 2.7L EcoBoost engine, the 4X2 is rated at 19mpg city, 26mpg highway — 22 mpg combined. The mileage estimates, coupled with the current low prices for gas (which haven’t carried over much to diesel) could be the impetus for truck owners to take a serious look at the award winner. 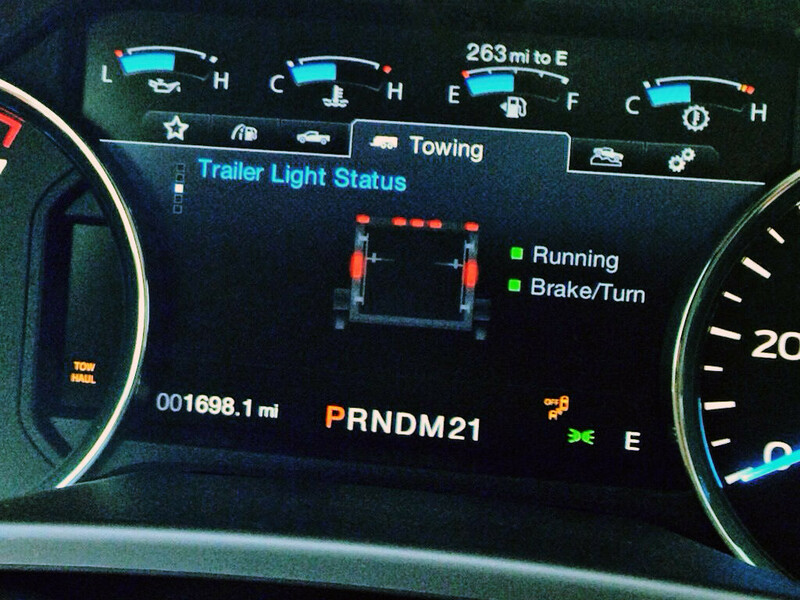 Other exclusive features on the 2015 F-150 include a 360-degree camera view that creates an all-around view that is particularly valuable, integrated loading ramps for ATVs and other wheeled-cargo, trailer hitch assist with dynamic line from a rearview camera that helps when lining up a truck and trailer with no spotter or need to exit the vehicle, and remote tailgate key fob power to lock, unlock and release the gate. Car of the Year accolades went to the 2015 Golf and Golf TDI from Volkswagen. The brass at VW says that they were recognized for innovation, design and available driver assist features. As with the F-150, the Golf vehicles have received numerous awards. This is only the second time VW has received the North American Car of the Year award. There are currently four versions of the Golf — the GTI, Golf 1.8T, the Golf TDI Clean Diesel and the turbocharged 1.8L Golf SportsWagen. The latter two will go on sale in the spring. An e-Golf electric version is only available from participating dealers in select states.